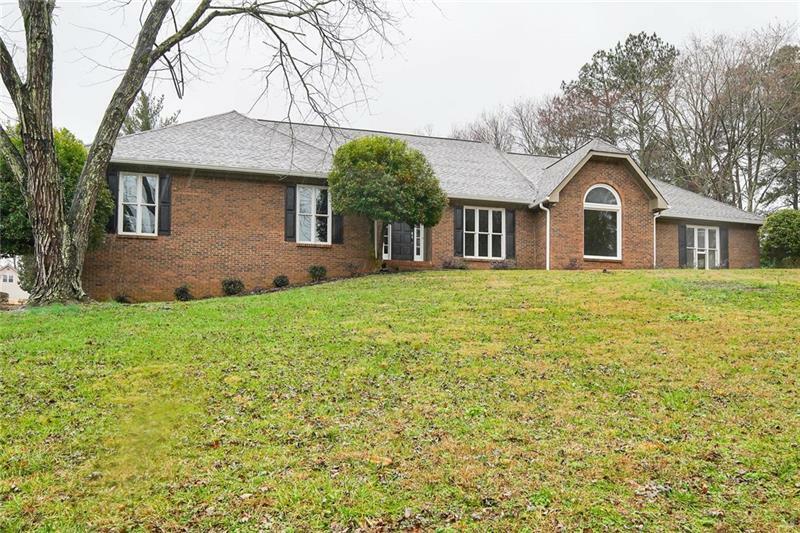 Beautiful brick ranch in the adored Saddle Creek Community. Completely new home inside! Fresh finishes throughout including paint, hardwood floors, fixtures, and appliances. Granite counters in kitchen with ss appliances. Large master suite with luxurius spa shower and soaking tub. Sweeping deck overlooking natural backyard with firepit. Partially finished basement. New roofing, HVAC system, & tankless water heater! Award-winning schools, minutes from downtown Historic Roswell or shops of Crabapple/Milton. Optional swim/tennis HOA packages available. A representative from Metro Brokers has received your request to visit 315 Saddle Creek Lane on at .